This is genuine Swarovski Crystal, which is manufactured in Austria. The size is SS 10 (~3mm) and come with packing of 120 pcs per rotary container. Swarovski crystals are brighter and sparkling when compared to other crystals due to patented manufacturing processes. To produce a diamond-like effect the crystal glass is precision cut and then polished to give high quality finishing. Silver foiling backing the crystal makes them even brighter and sparkling. For the AB type, the crystals are further enhanced by coating the glass with an Aurora Borealis or AB coating that gives the surface a rainbow like appearance to simulate the dispersion from a diamond. In the 2038 series, when you look flip, it over and look at the back of the stone, it is a copper color. This is also patented by Swarovski and offers an easier way for you to ensure you are indeed getting genuine SWAROVSKI ELEMENTS products! The original hot fix applicator invented by Swarovski for hot fix rhinestones - beyond question the best hot-fix tool on earth! universal voltage and .. This is genuine Swarovski Crystal, which is manufactured in Austria. The size is SS 10 (~3mm), SS 16 (~4mm) & SS 20 (~5mm) and come with pack.. This is genuine Swarovski Crystal, which is manufactured in Austria. The size is SS 16 (~4mm) and the colour is Crystal AB (001AB). .. This is genuine Swarovski Crystal, which is manufactured in Austria. The size is SS 20 (~5mm) and the colour is Crystal AB (001AB). Swar.. This is genuine Swarovski Crystal, which is manufactured in Austria. The size is SS 10 (~3mm) and the colour is Crystal AB (001AB). .. This is genuine Swarovski Crystal, which is manufactured in Austria. The size is SS 16 (~4mm) and come with packing of 120 pcs per rotary container. .. This is genuine Swarovski Crystal, which is manufactured in Austria. The size is SS 16 (~4mm) and come with original factory packing of 1,440 pcs.. This is genuine Swarovski Crystal, which is manufactured in Austria. The size is SS 16 (~4mm) and the colour is Crystal Color (001). Swarovski crys.. This is genuine Swarovski Crystal, which is manufactured in Austria. 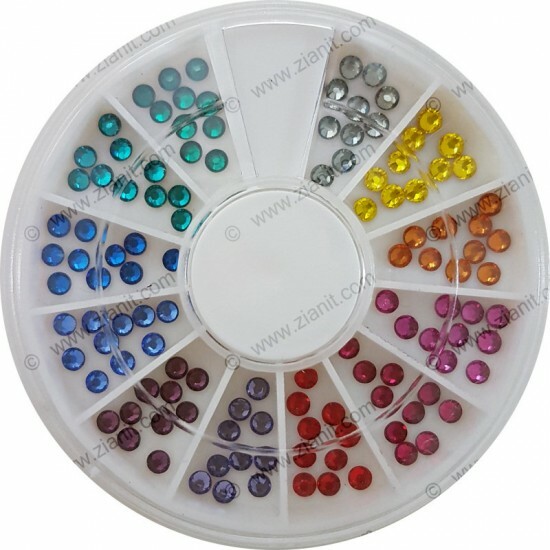 The size is SS 10 (~3mm) and come with original factory packing of 1,440 pcs per ..